In the fast-paced world of the internet, you need to keep yourself updated, so it’s important to keep your database maintained to make sure that your system performs well. In the World Wide Web, there are about hundreds of competitors, so it’s important to keep your website in top shape. Apart from database management, web owners should also use database optimization to boost the performance of their systems. Database optimization is becoming more and more of a challenge nowadays, especially when systems software changes constantly. Nonetheless, database administrators are making solutions to keep web owners and their businesses meet the demands of their customers. There are different approaches to database administration, and there are also different ways that you can optimize your database to increase its performance, which will also improve your server. The optimization will depend on your database system software. Every database management system software has its own feature for optimization. Even though newer versions are always around the corner, there’s always a program that will enable the system to optimize itself. These softwares are programmed to collect and analyze necessary data, which is used to create decisions for optimization. These programs will be used regularly because more optimization is needed as more implementation is done on the database. Database systems are also getting more and more complex, so it’s important to keep your systems optimized to keep up with the changes in IT. One of the ways in optimizing your database is indexing. This is done to increase the performance of queries. There are some queries that may vary from one another, but generally, all of them benefit from creating efficient indexes. Efficient indexes enable queries to avoid scanning the whole table for results. This method is done with Microsoft SQL servers. The SQL server has a built-in tuning wizard to help establish a set of indexes. It also updates statistical information to enable the optimizer to make optimum decisions in processing queries. Using this information, the wizard will give you suggestions in ways to improve query performance. Keep in mind that you also have to update your database performance analysis, so that you will be able to deal with the changes that occur with dynamic systems. Other systems such as the Oracle have a tuning mode for optimization. This includes an SQL tuning advisor and access advisor. These are used to improved SQL, which is used for packaged applications. It also uses sampling to collect data for optimization. Optimization is one of the important ways to keep your systems in optimum performance. They may have different names, features and processes, but essentially, they help to increase the performance of your system. 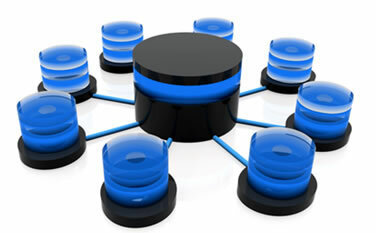 Database optimizers are included in systems softwares which web owners can utilize. These are complex methods which will need an IT professional. Usually, these are daunting tasks, but nowadays, efficient softwares have features that enable optimization to be done much more efficiently. To be able to maintain the lifecycle of your database, owners have to make sure that their systems are doing well.